While drum corps fans will continue to hear “THE MADISON SCOUTS” booming over stadium loudspeakers for years to come, it will be the newly-named “Forward Performing Arts” parent organization at the heart of the legendary Wisconsin-based ensemble starting this year. 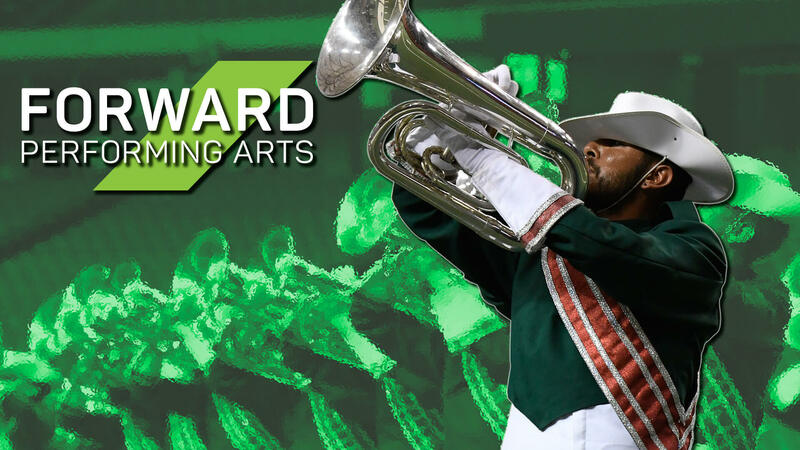 Early this February the Madison Drum & Bugle Corps Association, Inc. announced that it will change its name to Forward Performing Arts, opening the door for additional opportunities for the organization to fulfill its educational mission. To accomplish this in 2017, Forward Performing Arts will utilize the three Drum Corps International Tour events run by the organization in Wisconsin this summer, providing educational “Mad Skills” workshops for students. In the near future, the organization will also consider sponsoring a fall marching band event, as well as winter activities catering to band directors and their students. Other initiatives will include the expansion of the organization’s “Mad Dash for Music Education,” which in 2016 brought 5K run/walks to five different cities across the country to raise awareness and funding for various arts programs. Spinning a performing arts entity out of a drum corps organization isn’t an entirely new concept. Organizations such as the Cadets’ Youth Education in the Arts and Blue Devils’ BD Performing Arts have been successful in doing so for some time. As the strategic vision for Forward Performing Arts came together over the past two years, Komnick consulted with a variety of organizations that have recently launched similar organizational changes, including the Cavaliers, Blue Knights, and Boston Crusaders. In the immediate future, Forward Performing Arts intends to expand its roster of ensembles, including a new SoundSport team that will operate independent of the Madison Scouts. Komnick says the Madison-based ensemble, which will be coed and open to students ages 15-20, will perform this summer in numerous local venues. In August, the team will head to Indianapolis to participate in the SoundSport International Music and Food Festival that will be held during the DCI World Championships. Looking into the future, Komnick says that Forward Performing Arts may further develop into a multi-faceted organization that—in addition to the marching arts—may also service concert groups such as symphonic bands and jazz ensembles.